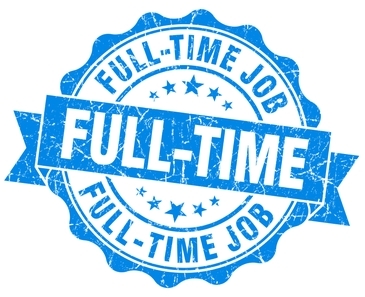 Working full-time. It's a necessity for nearly all of us if we're to make our way in the world. It's often a chore, but we accept it as a normal part of life. Does anyone still earn a living through full-time work with the game of checkers? We doubt it, and indeed, even in the heyday of the game, few were able to do so. We're certain that the author of today's Checker School position, one F. T. Desmond, wasn't a full-time checkerist, either--- while we don't know what "F. T." stood for, it surely wasn't "Full Time." Nonetheless, the study is a good one. White has just played 19-23. Too bad; 19-24 would have obtained a man-down draw (can you see it?). Now Black should win and it's hardly a full-time job to find the solution. 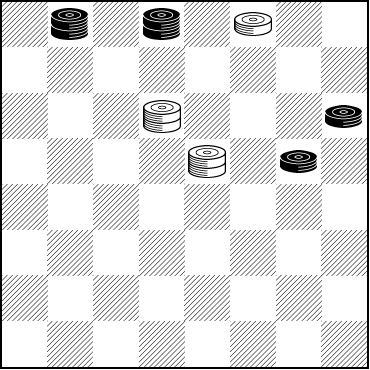 See if you can solve it, and after that, go back and show a draw after the alternative 19-24. Spend your time well and fully, and then it will be time to give a full click on Read More to see the solutions. 31-26 23-19 32-27! 30x23 17-22 18x25 21x30 19-24 27x18 Black Wins. 32-28 24-19 31-27 19-23 28-32 23-19 etc. Drawn; Black can make no progress. Checkers may not be your full-time avocation but we still hope you enjoyed this little problem.